My Epson printer is stuck in Recovery Mode. How to solve? 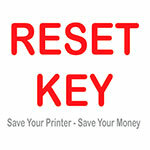 | WIC Reset Utility. Reset the Waste Ink Pad Counters by WIC. 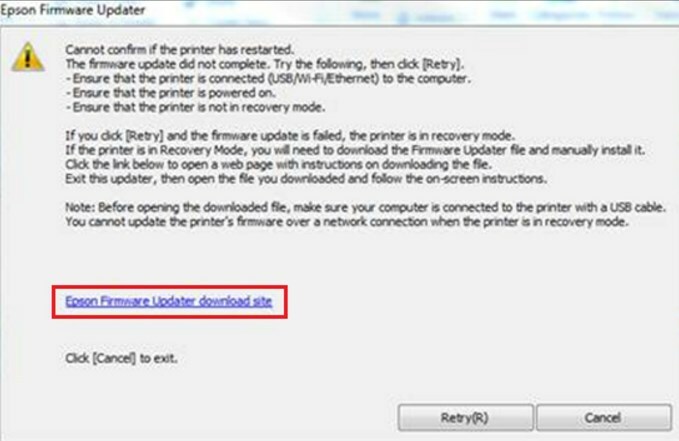 You have attempted to update your Epson printer using the Epson Driver Update and Download Navigator software but have found that the printer is stuck in Recovery Mode. This message is displayed on the product’s LCD screen and you will be unable to perform any actions until this issue is resolved. This error can occur if the firmware update procedure is interrupted, e.g. accidental powering off the product, cables being removed or the installation being cancelled. Wait for a few moments and a pop-up should appear on the computer screen, clicking on the link indicated below will direct you to a tool that will correct this issue. 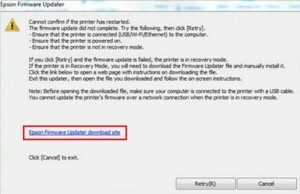 Once the download is complete, run the file as normal for your operating system and follow the on-screen instructions to complete the firmware update.